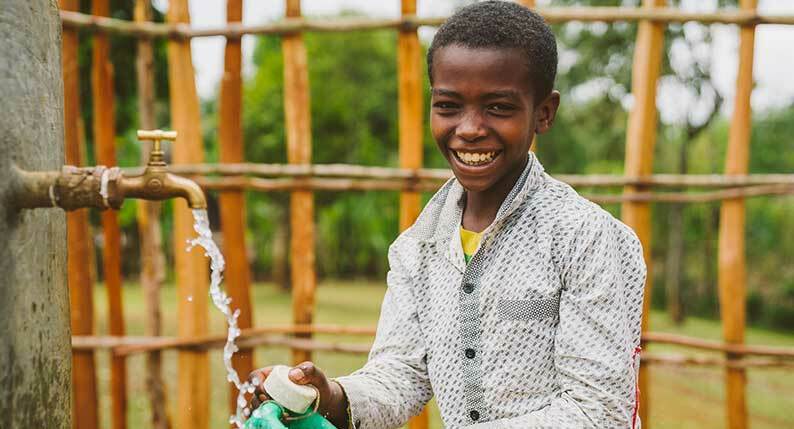 Did you know there are nearly 61 million people in Ethiopia without access to clean water? Most, like Gete, live in rural, hard-to-reach places. And yet, despite the formidable challenges, vulnerable people in some of the most remote villages in the world are experiencing transformation. Gete and her family have seen great changes in health and in spirit since Lifewater came to their village in Ethiopia. Watch the 360 video Africa video below to see first-hand what life is like for Gete and her family. Give clean water to vulnerable people in Ethiopia now. Gete lives with her husband, her four children, and her mother-in-law. She used to walk forty minutes, every day, on an unsafe path to and from a water source, to collect water for her family. Every day, she would carry two jerry cans of water back home, each weighing about 44 pounds. Because the water source was not well-managed, Gete’s family was constantly stricken with water-borne illnesses. They thought sickness was normal and spent much of their money of health clinic fees. This natural spring did not provide safe or sufficient water for Gete and her family. After local Lifewater staff visited her village, Gete discovered how simple habits could help her family become healthy. They started washing their hands with a tippy-tap, drying their dishes on a rack, and keeping their toilet clean. They also learned how to store their water safely and reduce contamination. 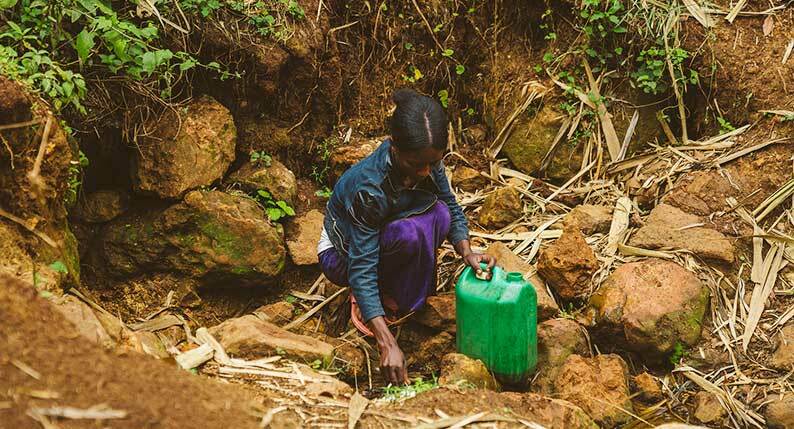 Gete’s home has since been registered as a Healthy Home, and a new water source was constructed just yards away from her home, but that’s not all. Gete was so moved by overcoming these difficulties, and by learning new, transformational ways from Lifewater staff, she became a WASH (water access, sanitation, and hygiene) Facilitator in her community. Gete’s daughter washes her hands with safe water. Grassroots efforts are key to creating sustainable change, and to making a lasting impact. 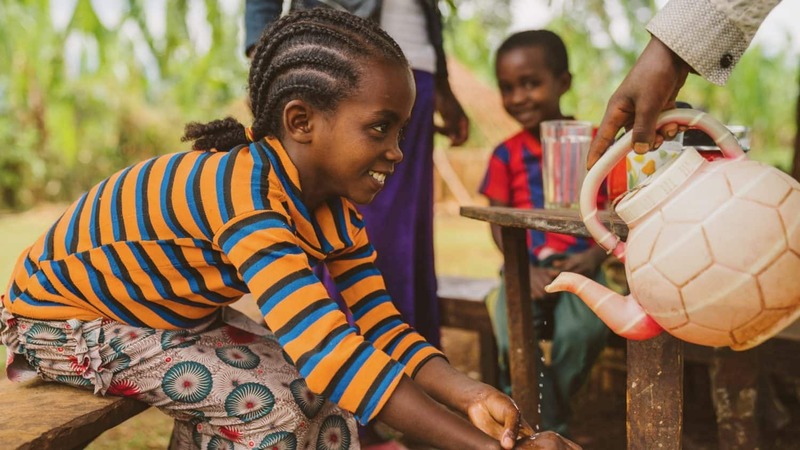 As a WASH Facilitator for Lifewater, Gete is loving her neighbors in action by showing them how to lead healthier, more hopeful, and more joyful lives. Because of her story of transformation, and through her local authority as an agent of change, her neighbors will experience the joy that comes from having access to clean water, health, and hope. You can help others like Gete make a lasting impact for their families and communities. Your support makes a real difference for vulnerable people who need access to clean water, improved health, and hope. Gete’s son collects water from the new safe water source in their village.